This article gives you complete details about Need for Speed: The Run which is the latest and upcoming racing video game in NFS series. Expected system requirements for running Need for Speed The Run in Pc is given in this article. Read this article full for more details. NFS - Need for speed is one of the best and favorite game of all gamers. 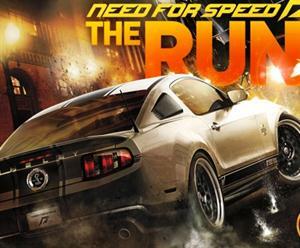 All are excited and waiting for the release of "Need For Speed The Run" which is the latest and upcoming release in NFS series. The publisher of NFS the Run is EA sports. Player can drive through San Francisco to Newyork in the game. The expected release date of NFS The Run is on 15th November 2011. The player can ride and walk through the game which is the main difference in the game from other NFS games. The game is expected to release in all platforms like PC, Xbox, PS3 and WII. As per the latest news, the graphics of the game is more and high definition compared to other NFS games. Need For Speed Run is having both single player and multi player modes. The developer of NFS The Run is EA Black Box and Firebrand games.